Down on the Farm offers four luxury camping options - Harvest Hut, an off grid shabby chic revamp of a former farm workers accommodation and the Coastal Carriage, a tastefully remodelled vintage railway carriage. Both are beautifully decorated and come with log burners. 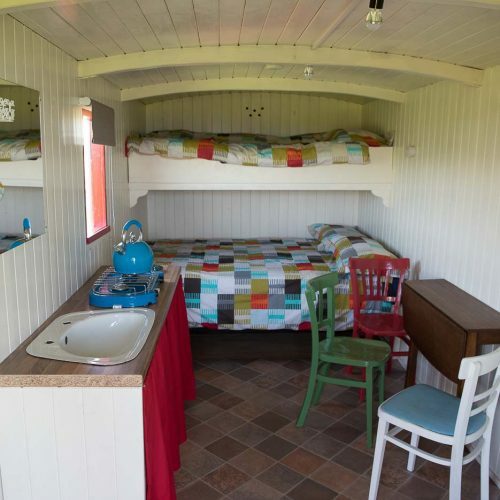 There are also two tube-shaped and nautical-themed Glamping pods, better known as Hobbits, which come with comfy beds and cushions, kettle, microwave, fridge, crockery and cutlery and even a TV to fend off boredom (but there's not much chance of that!). 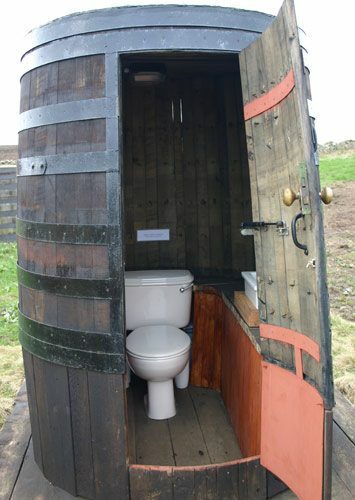 Even our toilet is a great cause for excitement - an outside loo built into a giant converted whisky barrel. Our toilet was the winner of the prestigious Home Throne Award at the Loo of the Year Awards in 2012.